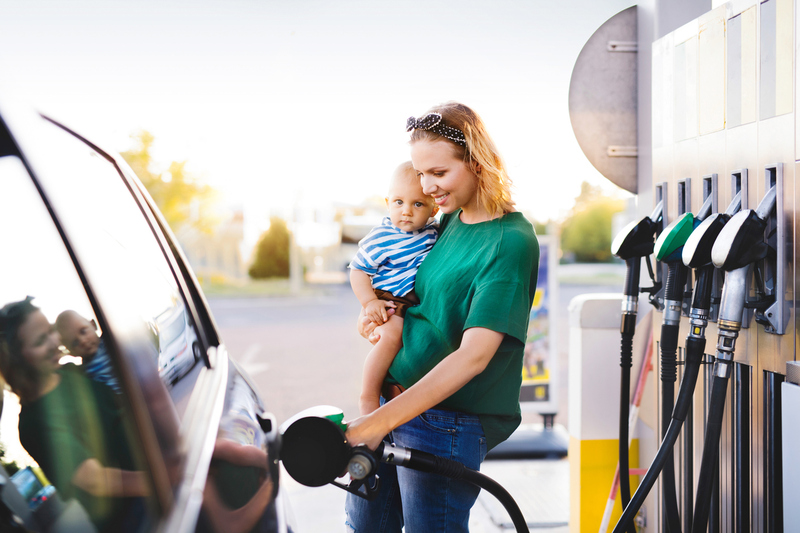 With petrol prices climbing like they have been lately, it’s worth looking at ways for cutting down the amount of your hard earned money going towards filling up your car. We’re all feeling the impact, especially the diesel drivers. How are you meant to save on fuel, with high prices and still get from A to B? Let’s look at some obvious, not so obvious and even some quirky options for saving on fuel especially if you’re not quite ready to switch to an electric vehicle. Let’s dive in and see how you can save on fuel this year, while still getting to where you want to go. If you are a city driver the first tip is to check a live traffic map before leaving for work or starting the trip home. A map that shows you heavy traffic, locations of a crash or other road hazards will give you at least a head start in choosing when and how you get home. The RACQ traffic map also shows any special events that may cause traffic delays as well as road closures. Maybe you can take a different road, or perhaps you can stay in the city a bit longer and have coffee with a friend. Avoiding a long crawl is not only good for the hip pocket with the saving on fuel, it can cut down on all the frustration that comes with edging your way home in a gridlock of other cars. A lot of us tend to have at least some unnecessary luggage in our car. Whether it is 10 pairs of shoes just in case, a picnic set, or a set of golf clubs from the last round a few weeks ago, ask yourself if it really needs to be in your car all the time. Granted, some extra weight in the car would only make a very minor addition to the fuel bill but it all adds up. By keeping the weight of your car to a minimum you’ll get the most out of your fuel consumption. More weight requires more power (and fuel) to get moving. By doing the simple task of emptying your car you can make a small saving on your fuel consumption. This is pretty obvious, but one way to save on fuel is to stop driving so much. It’s just a matter of getting creative with how you do it. Public transport for some people can work out cheaper than using a car. Getting from A to B on a bus or train might also let you do something more relaxing during your travel, such as read, or browse instagram. Even simple workarounds such as carpooling can lead to big savings. Ask around your work and see if a few of your mates live in a similar area to you. You could all save fuel if a few people share the driving. Plus, just think how nice it would be to use the transit lanes! If you are a real penny pincher, simply turning your air conditioning off can save your fuel by as much as 5%. The SAE confirmed that traveling around suburbs and city streets with the windows down (and AC off) can contribute a small saving on fuel consumption. When you travel at a slower speed, there’s not much drag on the car, so it makes sense to have your windows down to cool off. If you’re on the highway though, wind those windows up and turn on your AC. You can actually use more fuel from the drag produced by your windows being rolled down. So, on those hot summer days, enjoy the cool air inside your car on your long trips and save on your fuel. It’s not unusual for modern sedans and hatchbacks to achieve fuel efficiencies of under 5L/100km. That can be up to half the fuel consumption of many similar sized vehicles made about 10 years ago. Some of the hybrid vehicles currently available on the market can even reach efficiencies of under 2L/100km. While there may be some cost in upgrading to a newer vehicle it is also likely to have the most dramatic difference in how much you can save on your weekly fuel bills. Making a few small changes might be able to help you make some small saving on fuel. Those small savings can add up and you might be pleasantly surprised by the amount you can save. Are you looking for a more fuel efficient vehicle? Get expert advice and assistance with hassle free purchase, sale or trade-in of your vehicles by getting in touch with our car brokers today. We look forward to hearing from you.